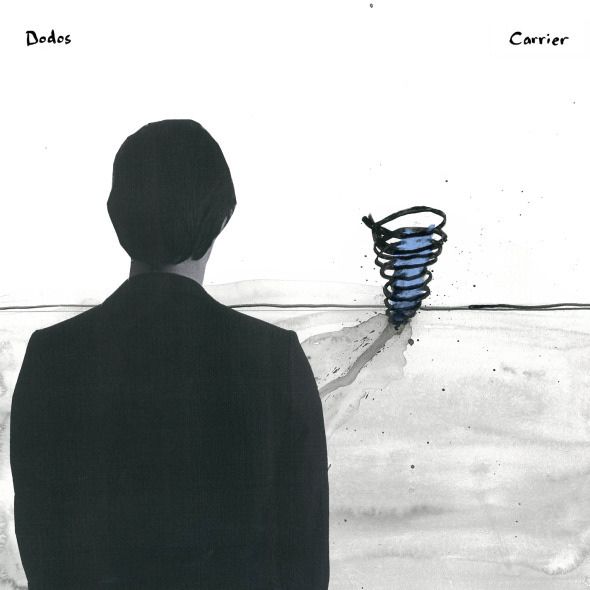 San Francisco natives The Dodos announce the release of their new LP, Carrier, out worldwide on August 27 via Polyvinyl Records. The album will also be released by Dine Alone in Canada, Hi Note in Taiwan, Hong Kong, Singapore, Malaysia and China, P-Vine in Japan, and Jointt Corporation in Thailand. The album will be released on CD, LP (180 gram blue vinyl), cassette (limited edition of 100 white cassettes) and via all digital outlets. The first single Confidence is available for streaming and will see a digital release on May 21st. The Dodos, comprised of singer and guitarist Meric Long and drummer Logan Kroeber, are also heading out on a full North American tour following the release of Carrier. Dates will be announced in the coming weeks. When it came time for The Dodos to begin writing their fifth LP, singer/guitarist Meric Long wanted to start over. The uncertainty of the band’s trajectory as well as the unexpected passing of guitarist Chris Reimer (formerly of Women) brought about a reassessment of things within the band, and in particular Long’s songwriting. In need of a different vantage point, Long began writing words before music for the first time, enveloping himself in silence rather than sound. When it came time to set these lyrics to music, Long started writing with only his electric guitar in hand - another first. The focus on this instrument was due in large part to the time Long spent with Reimer. And so, when he began to formulate the tracks that would ultimately comprise Carrier, Long employed two principles he inherited from Reimer: patience to let a song develop and a judgment-free enthusiasm for sound. The album was recorded in the band’s hometown of San Francisco, allowing for less time constraints and a more pressure-free experience than past out-of-state sessions had afforded. Although John Vanderslice’s Tiny Telephone studio was initially selected for its analog-friendly setup, the duo were happy to find themselves working within a supportive community of like-minded musicians that included engineers Jay and Ian Pellicci, both of whom assisted in the production of Carrier, as well as the Magik Magik Orchestra, which appears on several tracks. As a result, the album The Dodos crafted is refreshingly sincere: no computers, no gimmicks; just eleven songs that are beautiful and solid and true and honest. For a band briefly in flux, it’s clear now that The Dodos’ outlook on the future has never looked more certain.